I briefly discussed my build in the homebrew section, but since that section isn't the liveliest I thought i'd post photos here. It is made from stuff I had laying around. 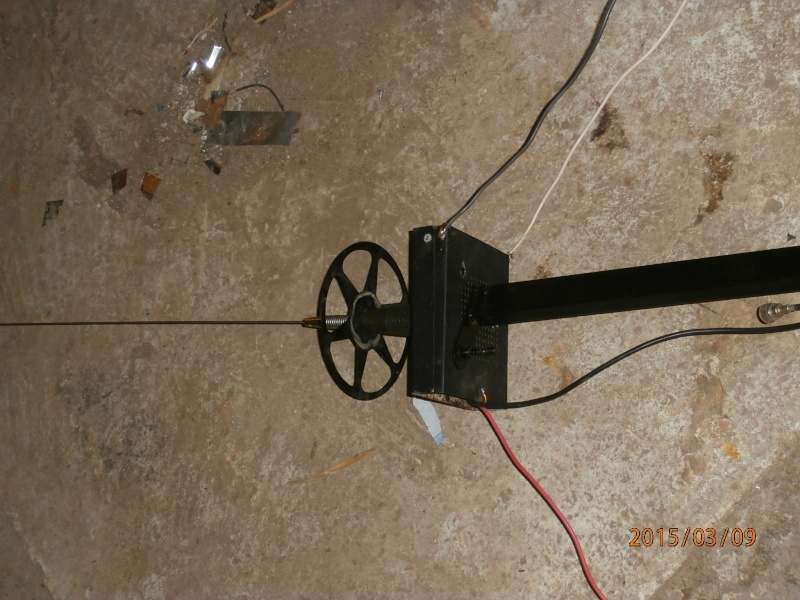 The vertical whip is a 36" whip from an old CB mag mount antenna. I added half of an old 400' 8MM take up reel underneath the whip at the last minute. Not certain if it will provide any improvement but it gives it a unique look. The "body" is the case from an old mobile CB radio. The radials are #10 wire from some old wire I had. They are looped through holes and soldered. They are 24" long. The coax is RG-58 which is what was on the antenna. The pole is an old rail from a futon. The body is bolted to the rail.I'll be using RG-6 for the rest of the feed line. I'm not certain how high I will have it, but I guessing the top of the whip will be at the 25' mark. It's not pretty, but should get the job done. I'd like to have it higher, but any height should be better than the indoor telescopic I currently have. I'm mainly going to listening in the 140-160 MHZ, but may go as high as 400 MHZ and as low as 27 MHZ. Don't forget your lightning protection. I am not using any lightning protection, but plan to unhook the antenna during a storm. I've tried a lot of configurations for scanner antennae and have found that a vertical whip wired to coaxial cable, positioned high as possible is the way to go. 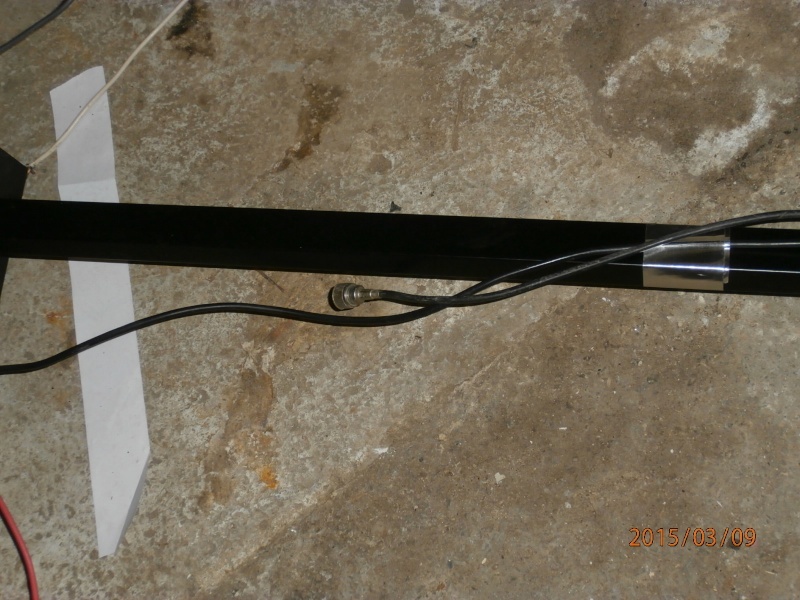 the ground of the coax line can just go to the base. It doesn't really require any ground plane, as it is not a transmit antenna. I would just use a stainless steel whip on a vehicular body mount base attached to a L bracket, with the ground going to the bracket and the center directly to the whip. Plenty of rtv to waterproof the underside, and that would get most of the area traffic. @-way shops usually have used whip antennas and bases to sell as back scratchers. 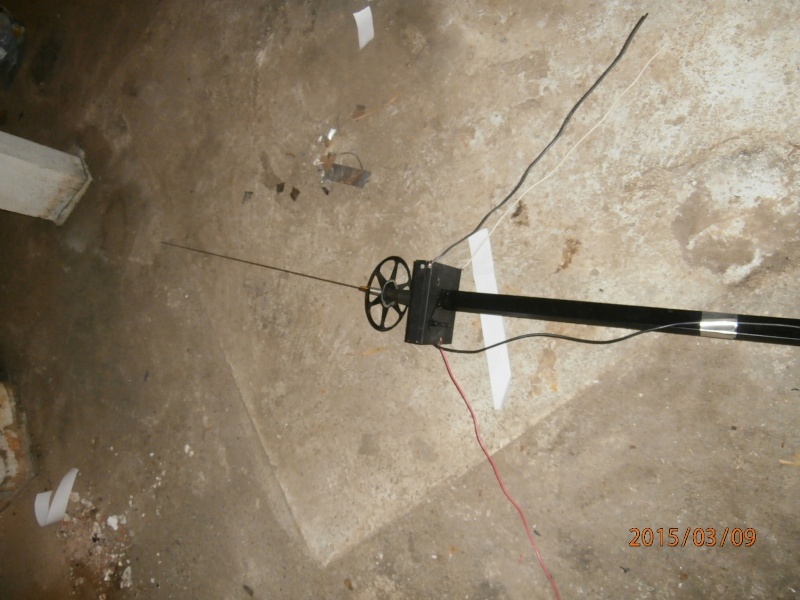 The shack sells a whip-loaded discone antenna for scanners that is similar to your design...but they want $60 for it. Good job! I have a telescopic whip that came with it for inside and it just doesn't cut it. I could of basically stuck the CB antenna up high, but I don't think it would do very well w/o the ground planes. I wish I could get it higher than 10-12 ft off the ground, but it's not going to happen unless I mount an antenna to my chimney but you are not going to catch me on top of my house. I eventually want to get the "scantenna" which is the Antennamaster ST-2 antenna, but I don't have 50.00 to spare right now. It has the best reviews out of any scanner antenna. I'm only spending about 19.00 on materials to finish this antenna and to secure it to the pole.